Go To Blogger Edit Template >Expand Widgets. Press (Crtl+F) and Search This <data:post.body/> If You Find This Code Twice Then Try For Both Which One Is Correct. 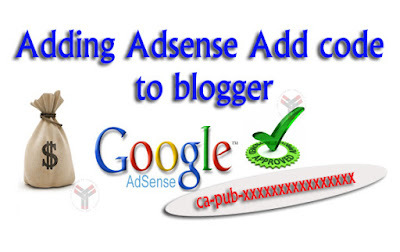 If You Put Adsense Ads Above The Post Then Below Code is Paste Above it <data:post.body/>. 0 Response to "How To Insert Adsense Add Code in Blogger [for Analyzing Adsense Team your approval also]"